Some cities are for sight-seeing and some are only for living. There are many few places that would worth both a travel and a life in it. As a person who was born and raised in Istanbul and has lived in Milan for the past three years, I can happily say that both these cities are involved in the third option. If you know the right places to go, of course. Milan is very well-known for its fashion weeks, tailoring and designs; and this is the main reason of its tourist attractions. However, it’s definitely unfairly undervalued, if Milan wasn’t about any of clothing or fashion it would still have tons of reasons that would make a travel worth. Regarding my three years in Milan, I can impulsively say that it was my best times. 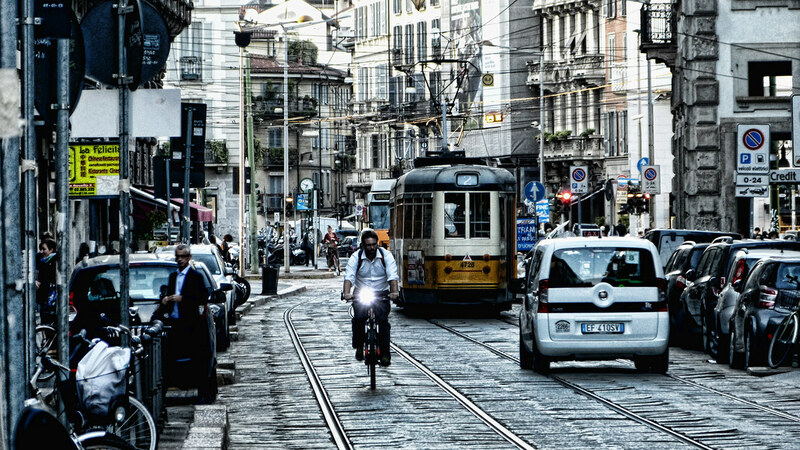 As being the most industrialized city of Italy, it brings everyone together. Walking down the street you can many different types of people from CEO’s (since most headquarters are located there) to blue collars, and even though people say that people from north of Italy are cold, they are usually very nice, warm and welcoming. Transportation is very easy because the city is very small and there are metros and trams mostly to/from anywhere. The metro operates roughly from 6 am to midnight every day and there are busses throughout the night 7 days once the metro is over. For friday and saturday the time schedule changes, of course, and they run until a bit later. And don’t be surprised if you see vintage trams in some lines, it’s at least as safe as the renewed ones, or maybe even better if you like vintage images. 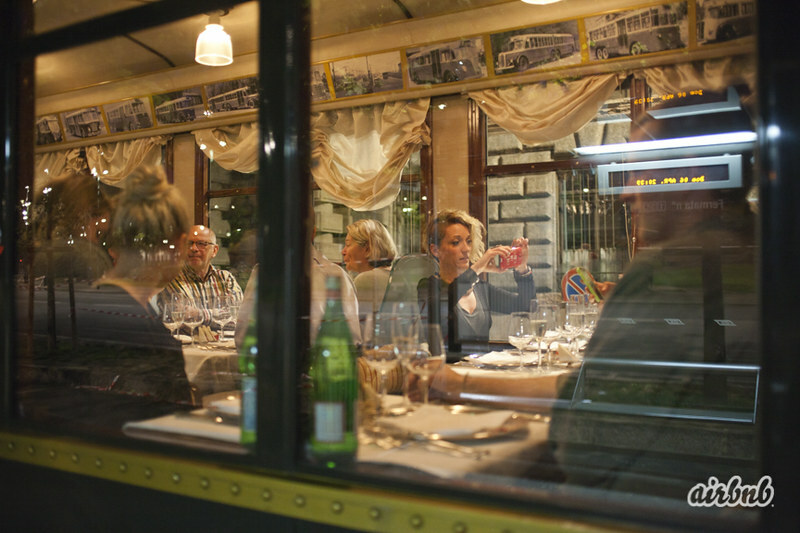 If you like to have an unforgettable experience, you can join the “Dinner on Tram”, having dinner aboard a historical tram on the streets of Milan, you can buy the tickets by clocking here. It’s also important to note that trams and busses start earlier and run until an hour later than the metro underground. You can check www.atm.it for complete timetables depending on the places you stay and go for sightseeing. As a part of transportation, it’s also very easy from Milan to go any place in Europe by train or plane. Going to Lake Como takes an hour and 20 minutes from Stazione Centrale. There are three main railway stations: Stazione Cadorna, Stazione Garibaldi and Stazione Centrale. You’ll probably find some main routes within Italy in all of them, but we advice you to check before going to the station. Centrale is the main railway station in Milan and once you go there you’ll be amused by the building and inside. The city has an amazingly rich art scene since it blends old and new very well. Whatever you’re interested in seeing as of art, both contemporary and traditional scene, there is surely something about it in Milan. It’s very popular with its contemporary art scene as well as renaissance paintings. 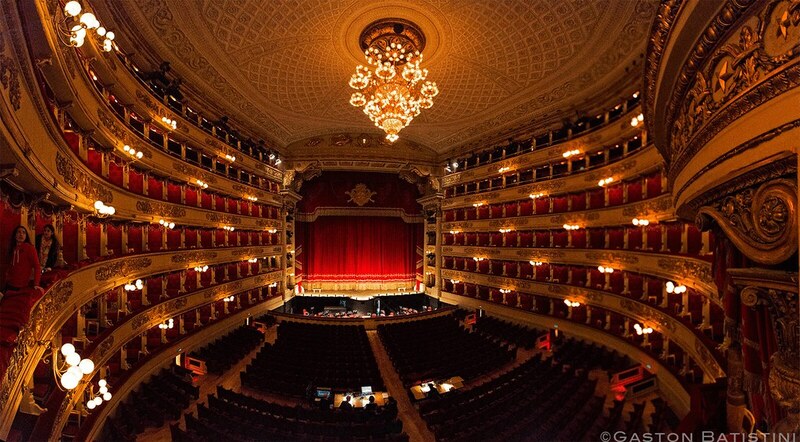 Also, do not forget theaters –operas and ballets– they are the city itself. Definitely check out the plays for La Scala and try to buy the tickets once you organize your holiday, not to miss the front rows. Seeing Da Vinci’s Last Supper can be another alternative for art-lovers, but for this you should buy the tickets and arrange your program prior to your holiday. If you’re going to Milan, be sure to stay somewhere near Duomo or Navigli, very mobile and colorful two districts in Milan. Brera can also be a nice alternative. Even though there is a district called Centrale, it is not actually the center and transportation from there usually takes a lot of time which is why we do not recommend it for staying. Duomo di Milano is the tourist center of Milan. 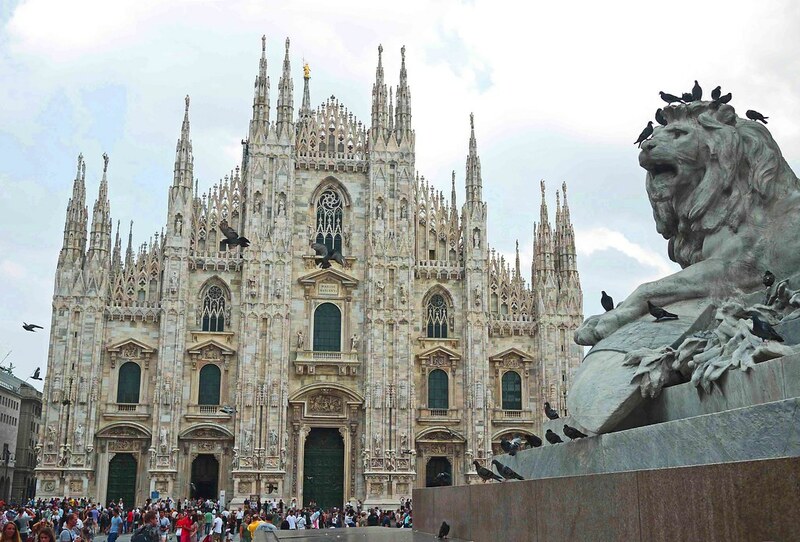 Be sure to get inside the Milan Cathedral also known as Duomo Cathedral which is the second biggest church in Italy after St. Peter’s Basilica in Rome, and the third in the world. It is also one of the oldest gothic cathedrals in the world. There is a “Piazza Duomo” in any city of Italy, so don’t be surprised if you see a Duomo in Florence or Como. The same also goes for Rinascente, the oldest shopping center of the city. 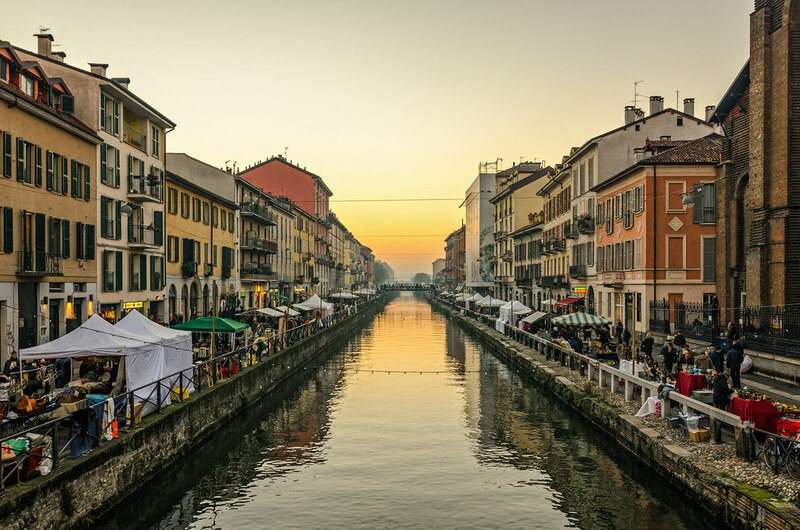 Naviglio Grande is a canal in Milan and is home to many marginal people who do not seek for the most luxurious. It is a very must-see touristic attraction, at least for dining or having a cocktail. However, besides the “avoiding luxurious” part, some of the most highly rated restaurants in the city are also there. Being very mobile, the crowd usually consists of mostly young people, eating dinners or drinking cocktails during night. There are many perfect bars with delicious cocktails by the canal or you can grab your beer and sit on the dock next to it. It’s known as the second central in Milan, and it takes twenty minutes from Duomo by walking, but you can also take a taxi or the tram 3. As for shopping, Milan is endless and there many different alternatives. You can find the shops of all high-end brands in famous Via Montenapoleone and its branch streets (Via Della Spiga, Via Manzoni, Via San’t Andrea). We’re pretty sure that you’ll find any high-end brand that you can think of in one of these streets. Other than this, Rinascente is also a good option as an upscale department store in the areas of clothing, household and beauty products. You can find many books and stationery downstairs. It also has a food court where you can eat something, buy some Italian cheese or pasta for home or drink a cocktail right against the Cathedral. If you shop from there and are a Non-EU Resident, do not forget to do Tax-Free on the sixth floor! Excelsior, is also another high-end department store located in Duomo, and it also has a food court and a very wide wine collection from all over the world, it also has a tax free center. If you’re not interested in high-end shopping, you can take a look at the stores on Via Vittorio Emmanuele, which is right next to the Duomo Cathedral. There, you can see shops as &Other Stories, H&M or Zara. If you’re looking for more alternative or hipster places to shop, we advice you to check out Corso di Porta Ticinese. Navigli, even though it is mostly known with its restaurants and bars, once you go there during daylight you can see many cool second hand vintage stores. Just be careful with the time as mostly all (except for the ones in Duomo) love to do siesta. Galleria Vittoria Emmanuele near Duomo is also a must-see. It opened in 1867 which makes it one of the oldest shopping malls in the world. For more economical shopping, there are two big designer outlets near Milan where you can go by a bus, Serravalle and Fox Town. We advice you to check the brands before you decide which one to go, and you can buy your bus tickets from ZaniViaggi in Via Dante. Non EU Residents can claim the value added as tax, IVA in Italian, on purchases totaling over €154.94 from a single store. To do so, ask for your “VAT back” form and keep your receipts. Don’t forget to have your new clothes with you at the airport since you may have to show them in the customs. In Corso di Porta Ticinese, address for the hipster and alternative clothes, you can bump into Pavarotti or other celebrities. 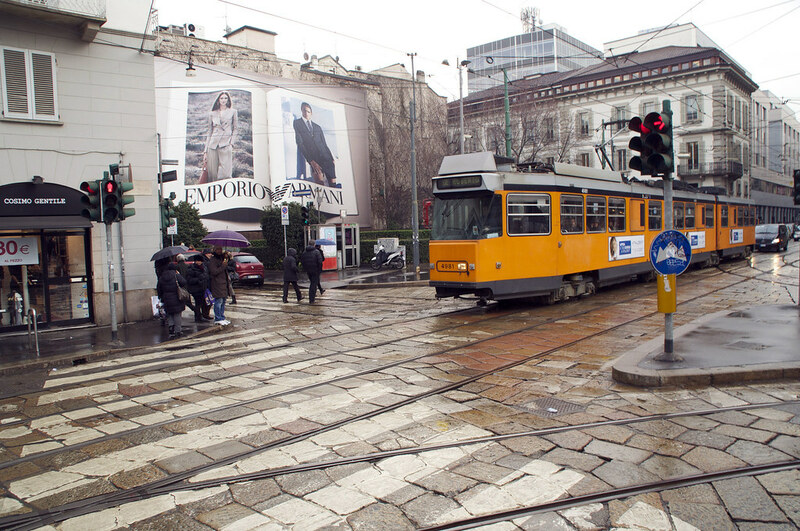 We’re pretty sure you’ll enjoy Milan, and even more if you’re not there for shopping! Have your best times and don’t forget to eat gelato and pasta! Asli is a future marketer who currently lives in Milan, dealing with university. She is born and raised in Istanbul. She loves traveling and experiencing difference tastes in life. She is an amateur photographer who enjoys to live like a tourist in Istanbul, her favorite city.